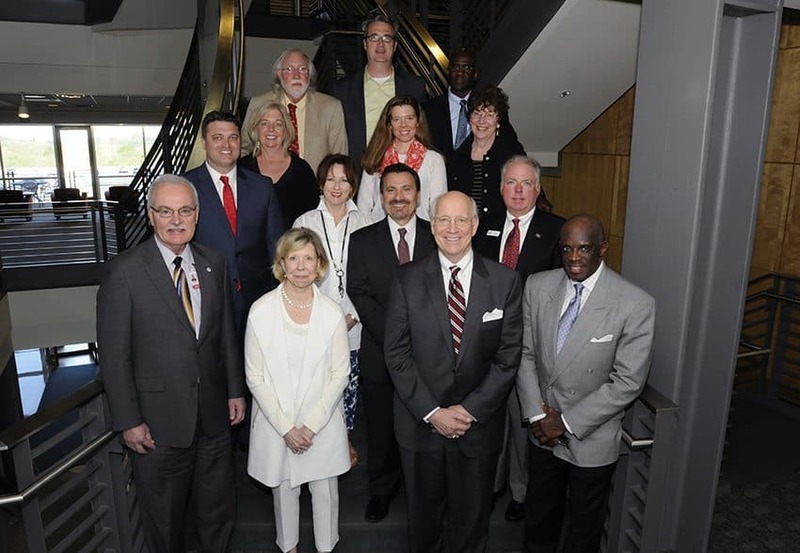 April 25, 2016 | LITTLE ROCK — Seven members have been added to the advisory board for the Fay W. Boozman College of Public Health at the University of Arkansas for Medical Sciences for three-year terms. The new members join nine others already on the board. They are attorney Hershel Cleveland, former speaker of the Arkansas House of Representatives; Anthony Fletcher, physician at Baptist Health Cardiology and Medicine Clinic; Allan Gates, environmental attorney at Mitchell, Williams, Selig, Gates & Woodyard; Janet Jones, owner and president of Janet Jones Company Real Estate; Ruth Shepherd, president and CEO of Just Communities of Arkansas; Advisory Board Chairman Gordon Silaski, president of Centennial Bank’s Little Rock market; Jodiane Tritt, vice president for government relations at the Arkansas Hospital Association; and Wesley Walls, architect of the UAMS College of Health Building and principal at Polk Stanley Wilcox Architects.